This is our Lincoln Square little league team. We were in the Southern League in Urbana, Illinois. The Southern league had four teams and played in Blair Park about twice a week. This picture was taken in about 1974. Our team absolutely loved playing and practicing. We had some practices in the snow in the early spring because everyone, especially the coaches, couldn’t wait to get going. I played third base. Once in a while I played short, second, or pitched. I still think about little league all the time, and I remember lots of particular games. Coaches: Denny Shelato (left), Everett Krueger (right), Joe Lamb (not shown). Back row: Randy Harrison, an unknown person, Kevin Brite, John Gremer, David Lamb, David Terry. 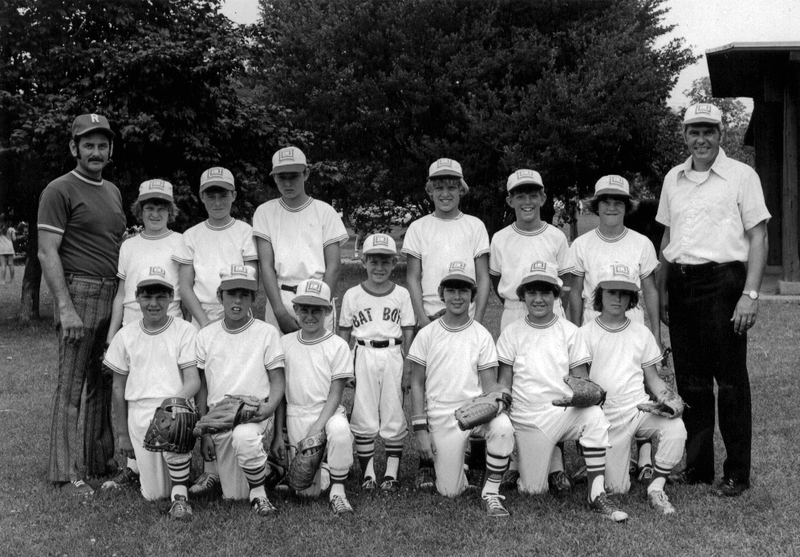 Front row: Boyd Zbinden, Tracy Wengler (misspelled maybe), Mike Krueger (I think), bat boy Scott Allen Krueger (I think), Mike Shelato, Mike Gremer, Andrew Shapira. This is what you’d see if you went skiing at Jackson Hole, Wyoming. I would like to thank my buddy Úlfar Erlingsson for creating this image from a shirt that I got at Jackson Hole in 1993. 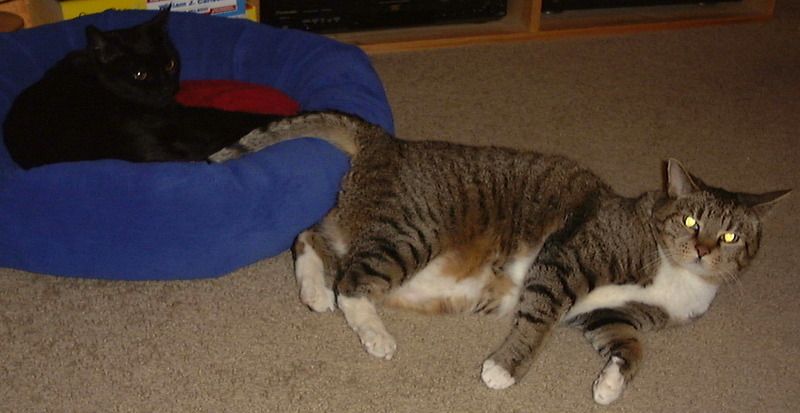 These are my cats. I got them in March 2004. 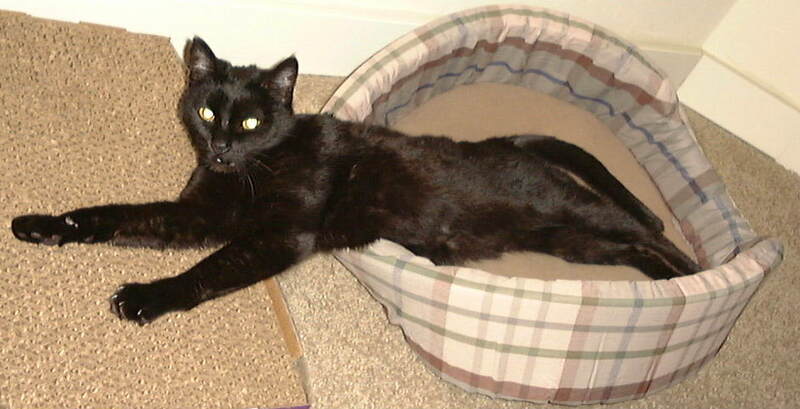 They were both born in roughly 1997 and lived together somewhere until March 2004, when they were dropped off at Meow. The little black one is a female and the bigger dude is a male. Their names are Gretel and Max. Jim Teresco’s web site has an enormous number of pictures of various things that Jim has done and seen. I was along for a few of these things. Jim’s web site has pictures of the 2001 car trip that Jim, Rob Foulis, and I took to Alaska and the Yukon. Jim’s web page also has pictures from his visits to Seattle in 1999 and 2000. This page is designed to print in a printer-friendly way through your web browser's print feature.